As I Was Saying... is the seventh book in Jeremy Clarkson's best-selling The World According to Clarkson series. ***Crikey, the world according to Clarkson's been a funny old place of late . . .For a while, Jeremy could be found in his normal position as the tallest man on British television but, more recently, he appears to have been usurped by a pretend elephant.But on paper the real Jeremy remains at the helm. That's as it should be. For nearly thirty years he has been fearlessly leading the charge as one the best comic writers in the country. And in 2015, he shows no sign of slowing down. So, whether it's pondering If Jesus might have been better off being born in New Zealand Why reflexive pronoun abuse is the worst thing in the world How Pam Ayres's head trumps Gordon Gecko's underpants Or what a television presenter with time on his hands gets up toJeremy is still trying to make sense of all the big stuff.Circumstances change. Nothing's forever. But As I Was Saying provides glorious proof that Jeremy remains as funny, puzzled, excitable, outspoken, insightful and thought-provoking as ever. As if you ever doubted it . 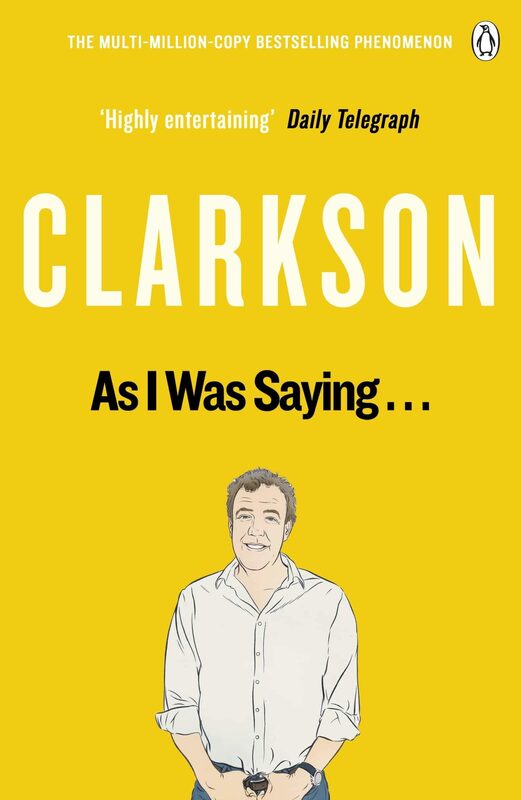 . .***Praise for Clarkson: 'Brilliant... laugh-out-loud' Daily Telegraph 'Outrageously funny... will have you in stitches' Time Out 'Very funny . . . I cracked up laughing on the tube' Evening Standard. Otros ebooks de JEREMY CLARKSON.